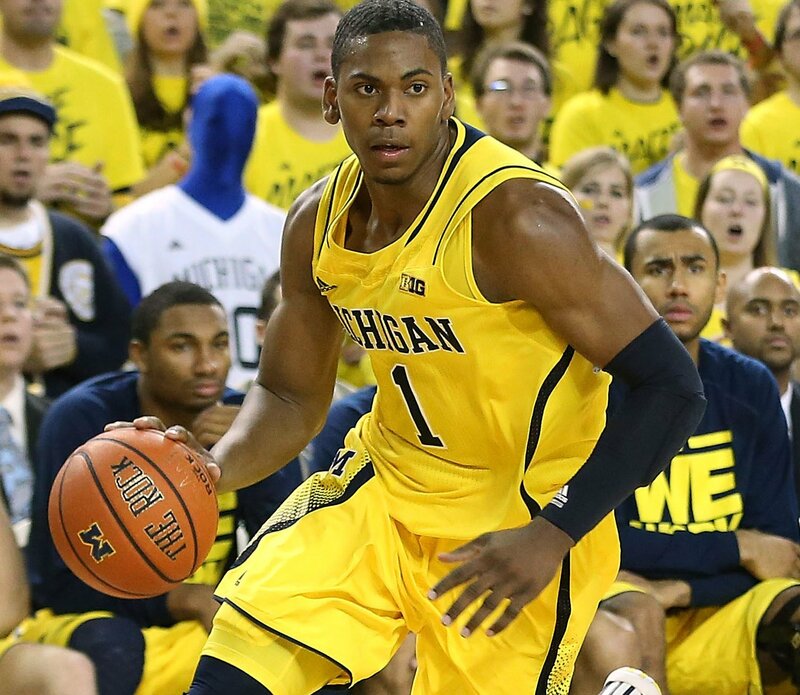 The Wolves drafted Michigan Wolverine, Glenn Robinson III, with the 40th overall selection in Thursday’s draft. So, on Thursday night the Wolves drafted Zach Lavine (Eds. Note: That’s how we spell it here.) and Glenn Robinson III with their first and second-round draft picks. Lavine infuriated fans with his alleged response to the Wolves selecting him. Robinson III looked happy to be selected at all. What to make of this? That captures it pretty well. Does it mean I align with every idea the Wolves management has? No. But in this case, they made a defensible and possibly an unusually good pick. Does Ricky Deserve a Supporting Cast? Is it reconcilable to consider Ricky Rubio to be a good NBA point guard, and at the same time object to trading Kevin Love for established, highly-paid veteran players like the ones rumored to be involved in the Golden State negotiations? That’s a long, awkwardly-phrased question that might require a couple of readings to understand, but it’s one that I’m asking myself in different forms as the draft approaches along with the deadline to trade Kevin Love for maximum available value. It seems that so much of one’s opinion about a given Love Trade hypothetical turns on what that person feels about the Wolves roster aside from Love. Can Rubio lead a good team? Next season will be his fourth as an NBA player. He’s plenty experienced and is now pretty far removed from his unfortunate knee injury of March 2012. Poor Ricky played himself out of the top 15 with a ghastly shooting slump (he’s down to 35.5 percent shooting for the season) that mushroomed these past eight games (17-for-69), a swoon that would feel like a bigger deal if Jason Kidd didn’t shoot 38 percent for his first three seasons. Special players figure it out. Rubio sees the floor differently. He’s always a half-step ahead of everyone else, especially defensively. His unselfishness is genuinely infectious in a Bird/Magic kind of way; along with Rick Adelman (it’s 1999 Sacramento all over again for him), that’s the biggest reason why the Timberwolves have morphed into the league’s best passing team. And you can’t deny his effect on Nikola Pekovic (a stiff last season) and Kevin Love (now a franchise guy). Watch the Wolves every week and you can’t help but mutter, “Those guys look like they’re having fun.” Yeah, because it’s fun to play basketball with Rubio and Love when Adelman is coaching you. A. Minnesota is going to make the playoffs unless somebody gets hurt. That version of Rubio — healthy, and running a high-ball screen offense suited to his skills — seemed extremely valuable; possibly more valuable to his team than even Kevin Love. He was a great defender and an only-one-in-the-league passer who saw stuff that nobody else could even imagine. He was a real weapon. But then he got hurt. And then the NBA stopped locking out its players, which allowed full off-seasons, which allowed brilliant coaches like Rick Adelman to install their preferred offenses. In Rick’s case, that was an offense that cared little about point guard dribbling and creative passing. It prioritized careful entries to the high post and perceptive, timely cuts down the baseline for opportunistic layups against reckless defense. As effective as it was, it was not good for an improvisational wizard like Ricky Rubio. Is it time for the Wolves to make a decision on Rubio and the point guard position? Should they at least consider drafting a point guard in the lottery? A step further: Some of the potential Kevin Love trades involve mid-lottery picks. Would it be crazy to pull the trigger on one and draft Marcus Smart, who might be a future star point guard (in a more conventional style)? Forgive me, here, as I’m just trying to follow the logic of strenuously objecting to the idea that Love should be traded for veterans that command a salary befitting their performance, and that Rubio (and PEK!) should be surrounded with a reasonable supporting cast in the next few seasons. If the best option is to rebuild and slash payroll, what does that say about Ricky Rubio? As you already know, Kevin Love is on the trading block. Where he plays next season remains an unanswered question, but we are beyond the period of speculating whether or not the team is answering phone calls and entertaining serious offers. Given Love’s extended silence that followed the report that he will leave Minnesota next year as a free agent, it is safe to assume… well, exactly that. If he is not traded, he is going to leave Minnesota in 2015. He eventually made a brief ESPN appearance which did nothing to change this perception. 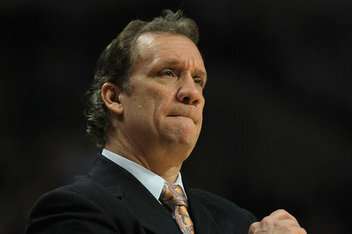 Flip Saunders and the organization have the option of keeping Love for one more season in hopes of attaining that elusive playoff berth that has escaped them for the past decade. More likely, they will trade Love for whatever they can get right now, or at least some time before February’s deadline. I have not written much about these rumors (well, beyond the Twitter machine) for a few reasons, but primarily because it’s a dilemma that leaves me faced with way more questions than clear answers or opinions. With that in mind, I’ll rattle off some of them and share some reactions; reactions that vary from knee-jerk opinion to ones with a bit more factual basis and analysis. 1. Must the Timberwolves trade Kevin Love?